I'm going to be taking isotretinoin 20 mg for a stretch of 90 days and then evaluating what my next course of action is. This is my skin at the start of the treatment. As you can see, the cheeks are a real problem area for me with clusters of what seems to be deep nodules. My chin and jaws have been trouble as well, but I'm mostly dealing with scarring there and not active acne. There are some pretty nasty scars on my chin as you can see, those ones are so bad makeup can't even disguise them. I do still have some little bumps around my jaw which are usually a bit lighter in colour and kind of appear as whiteheads except a little more pinkish or skin coloured. The acne on my jaw tends to be more bumpy and raised and smaller in actual surface area, and the acne on my cheeks are larger but flatter, and they feel more deep and painful and are harder to heal. 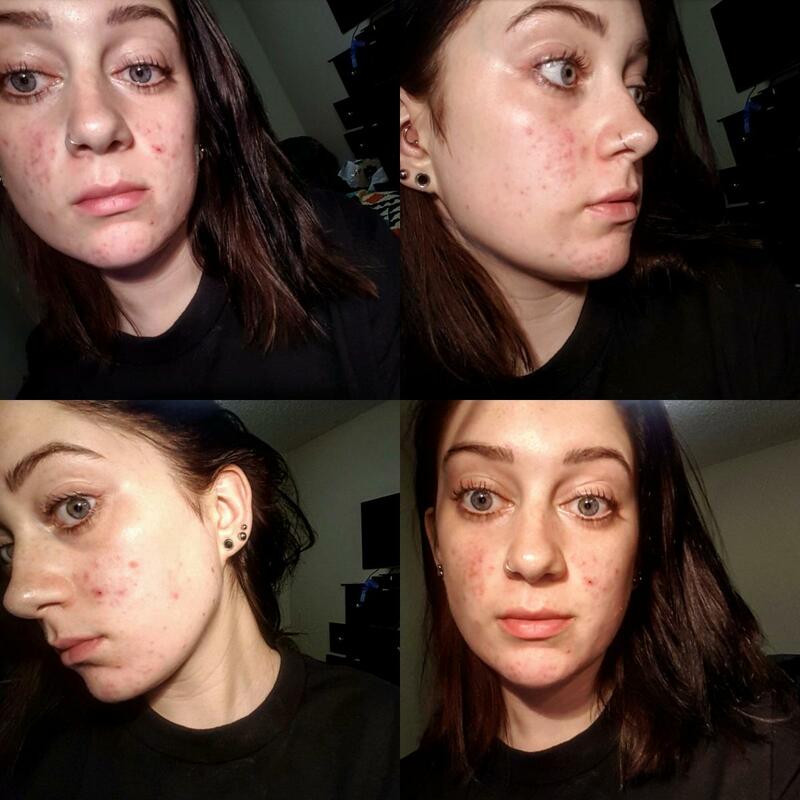 I'm going to post weekly updates and photos including blog posts during this 90 days in which I'm taking isotretinoin, and talking about my results as well as side effects and everything else I'm observing. Wish me luck!! !